To stretch my thinking to “Think more out of the box.” To not be afraid to try new things. Validated many ideas that we have explored and expanded others. You Cans! Ways to impress kids with program. All recruitment ideas. We have to move “Out of the box” and become different and special. Thanks for pointing that out. We know we are special, we need to use our “You cans” to inform others. Change the focus of recruiting strategy. Focusing on the kids. “You Cans” are a tremendous idea, will be very helpful. You helped me to see things from a different “weird” perspective. Loved the stories with a message. Introduced the third column thinking “You Cans”. This should help reorganize our recruiting techniques. Techniques that were unique for recruiting: U-tube You Cans. Think outside the box, Use kids more effectively. Stories about industry leaders – Levi’s, etc. Humor!! Very entertaining. Made us top and think about things we take for granted. Made me see myself through my students’ eyes. So many ideas. Too little time. I plan to make better use of internet via you tube and email. I may use myspace and helloworld as well. More focus on “you can”. Better ideas for recruitment of students. 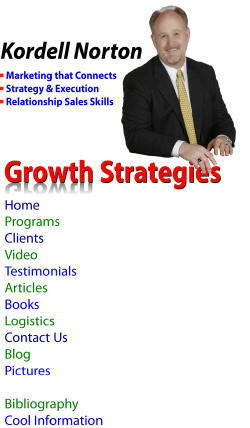 I will take 5 ideas away that I can implement immediately to market and promote TTA. Great marketing tools and techniques. Helped me to brainstorm ideas that are “outside of the box”. I was able to redefine what expertise and greatness is in teaching. Help me to focus on te student and NOT the program. Kordell gave me more great stuff than I thought I would receive today. Great job! Plenty to digest for now. More stories. More application & 1st ideas. I think enough material was presented. More would have put me on overload. More games for 1st days. Developing a plan (schedule) for marketing your round with goals and timelines. Been able to bring in our present literature, etc. to have them critiqued. Could have been a longer session. Very good. How to stay motivated and enthusiastic? How to encourage teachers. Moving teachers to take action & REFORM/RENEW RIGHT NOW!! !